We can’t believe it’s already December and 2017 is coming to a close. 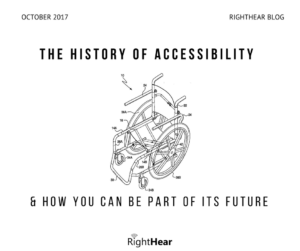 It has been an amazing year for us and our community of users & venues, so we thought to share 17 ways the RightHear family has made the world more accessible throughout 2017. We collaborated with BlindSquare to make the transition between outdoor navigation and indoor orientation more seamless than ever before. We installed Accessible Spots in 6 new countries, furthering our goal to bring accessibility to people who are blind/visually impaired all over the world. We started our blog (thanks for reading it, by the way!) to help spread the word about how everyone, no matter what, can bring accessibility to those around them. We worked with Wayfindr to establish international standards for audio-driven orientation, mobility and navigation. We sent 27 demo kits to venues all over the world so they can try our solution and see what a difference it makes in enabling accessibility. We accessed the M-Enabling Summit in Washington, DC, to show the power of our solution to industry experts and encourage them to bring more accessibility to their own networks. We sent 9,864 emails this year (and received MANY more than that!). We partnered with Project Ray to make RightHear a default app on all of the smartphones so users can automatically access the system. We constantly updated our app to fix bugs and respond to user feedback. We engaged with bloggers and podcatchers who are blind to spread the word about RightHear and directly reach our users where they are: online. We established strategic partnerships with some of the biggest companies in Israel and even major global corporations (look for more news about this soon!). 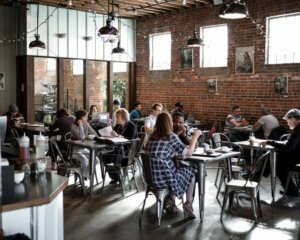 We added an online demo of our dashboard, allowing venue owners to experience the simplicity and power of RightHear for free. We traveled to Los Angeles and Frankfurt to attend conferences and meet with industry influencers and show off our orientation & mobility solution. We integrated a live support feature onto our website so anyone who wants to learn more about RightHear has immediate access to our team. We made a splash in the international press, being featured in articles, news shows, and interviews in Italy, Canada, France, and more. We teamed up with TAMID Group, a US-based consulting organization for undergraduate students, to learn about the US market and encourage these students to explore accessible technology. We’ve organically grown the number of ‘Likes’ on our Facebook page by 20% this year. Have you checked it out already? (Bonus!) We‘ve hired Adi Nathan as a our Community Manager! Adi is a talented person with an amazing charisma and sense of humor. He loves his guide dog Dandi and going out for hummus, like all of us on the RightHear team! the number 2017 is changing to 2018. Black and white. We have some big plans, and even bigger goals, for 2018, but we’d love to hear what you think we should try to achieve next year! What should RightHear focus on in 2018? Tell us in the comments or on social media and make sure to share this post while you’re at it. 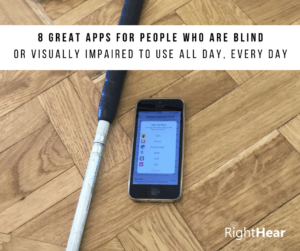 How can I Make My Restaurant Accessible for People Living with Blindness or Impaired Vision?